Tired of your Garrett Turbo housing rusting or the high temp paint not holding up or the ceramic falling apart? Here is the answer with a Stainless Steel Garrett T25 Exhaust Housing. Not only does this look great, but the Stainless Steel Garrett T25 Exhaust Housing has performance gains over your stock housing. 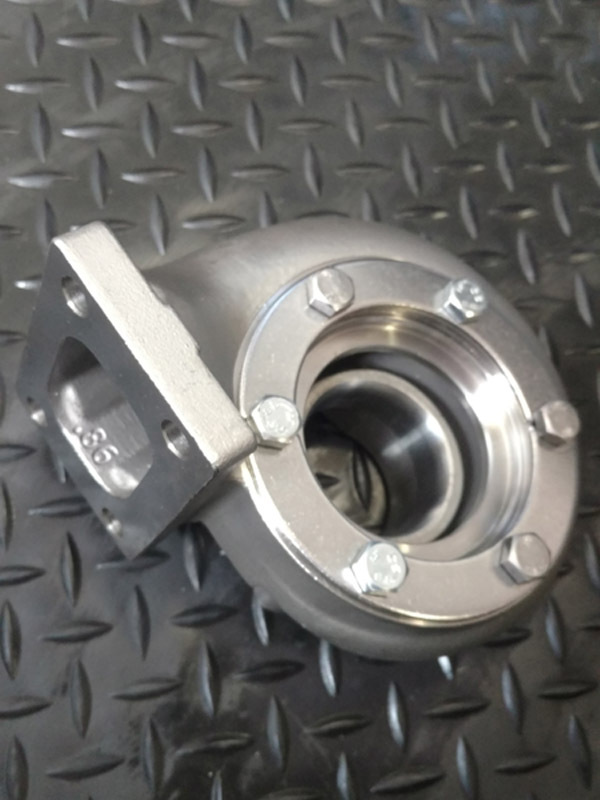 The Stainless Steel retains 30% more heat then the cast factory housings, which lets your turbo come on faster with boost when in and out of the throttle. 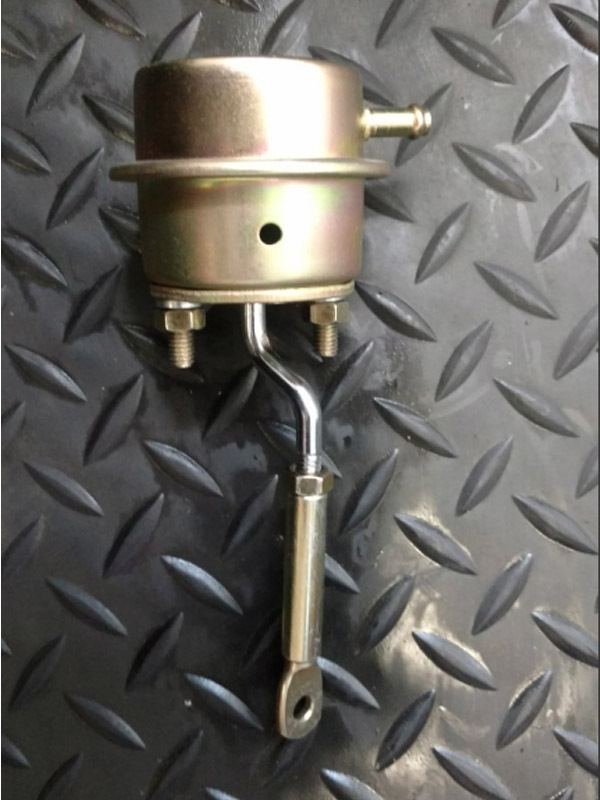 Actuator for internal wastegate assembly to be used with Garrett turbo. Has the Z bent rod which also works well on turbos with larger compressor housings to offset the diameter of the housing.